← Hello semi-DIYers and brides-to-be! My niece’s first birthday is quickly approaching and I was assigned decorations. My sister provided some guidance so I just needed to execute her requests. 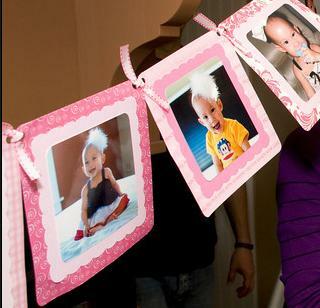 Photo banner pieces: Cut each sheet of 12×12 paper into four squares (6×6). For the 12 outer layer squares, use a corner rounder or scissors to round the corners. For the 12 middle layer squares, use scrapbooking scissors to cut eight curves on each side to make the square about 5×5. I used the solid colors for the middle layer but you can switch it up. For the photos, crop them to 4×4 and round the corners. You can make the banner smaller by cutting smaller squares, but I try to minimize how much cutting I have to do since I don’t have a fancy die cut machine. 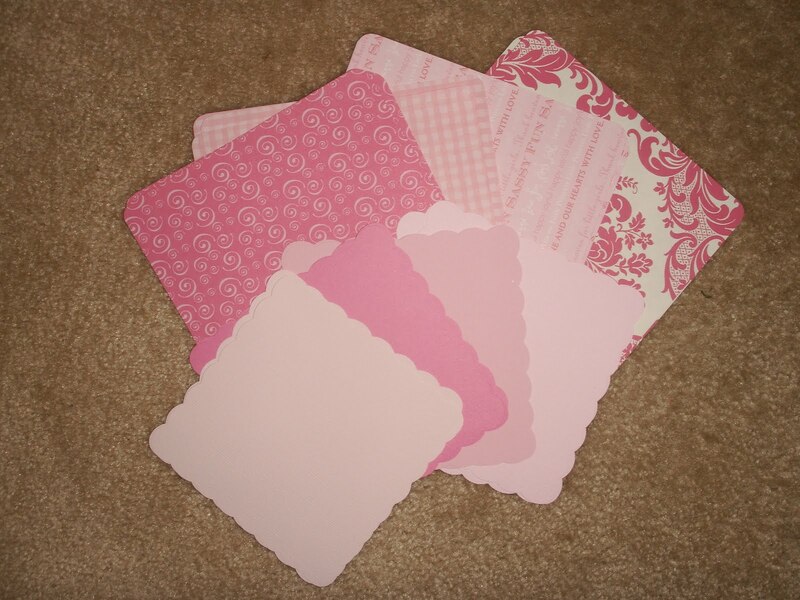 “Happy Birthday” banner pieces: Cut each sheet of colored 12×12 paper into four circles. I used 5 ¾ inches for the diameter. I had white scrap paper and printed each letter on a sheet. I cut each letter out to a 5 ¼ inches circle. Die cut letters would have looked nicer, but the nearest scrapbook store was 30 minutes away. I think it’s easier to complete all the cutting before the assembly. Tape together each piece, but you can also use glue. I prefer scrapbooking tape because I don’t like waiting for glue to dry. To keep the banner from tearing, I placed two strips of scotch tape on the backside of each piece before punching out the holes. Both banners are easy projects if you already have the supplies/tools, but quite time consuming with all the cutting and taping. If you don’t have the supplies, it may be more cost effective to buy these banners on Etsy. This entry was posted in Babies/Kids, Birthdays, Crafts, Decorations and tagged Banner, Decorations, First birthday, photo banner. Bookmark the permalink. seriously adorable! I might need to call you for some pointers for Ash’s baby shower. So cute! Imma try this =) Thanks Linda!